The Big Cat Diary, the famous and long running natural history TV documentary is possibly what many travelers want to re-create when they go on an African safari: images of open savanna plains in Masai Mara choking full with wildlife. Every which way there is action, the natural type not choreographed. The male lion announcing to all that his superior genes are passed on. A cheetah perched high on a termite hill. 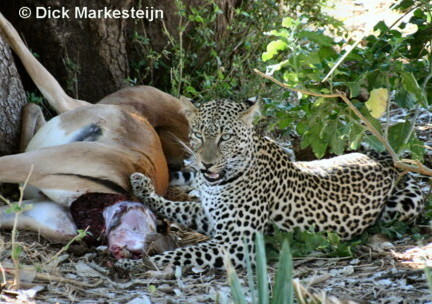 A leopard hiding her cubs in a thicket and the melee of vulture, hyenas, jackals fighting it out on a carcass. The big cat diary gives a strong and urgent call-to-action of booking a safari. BUT if you want to create the natural history experience in your Kenya safari, you will need candid planning and consultation with your Kenya safari operator. The fact that your safari is going to Masai Mara is not a guarantee of great "big cat diaries" travel. You owe yourself and those on whose behalf you are making the safari arrangements to see to it that you cut through the commercial hype of "Masai Mara" to give them a genuine wildlife viewing experience. - The makers of TV documentaries have much longer time in Masai Mara than your 4 days of vacation. Therefore, create depth in your safari days by fully utilizing the "light–hours" in the day. On this don’t believe anyone who tells you to stick to morning and afternoon game drives – if all day works for the big cat diaries why shouldn’t it work for you with only 4 days in Masai Mara? Is anyone trying to save costs on you? Does the safari camp need the bar open? - The big cat diaries show images of wildlife but not of a lion surrounded by 10 safari vehicles. You can with ease have wildlife exclusive to yourself if you follow safari tip 1 and if your game drive circuit is away from the well-driven path. It will mean that you will drive more kilometers and you should get a confirmation from your safari operator that you have a vehicle for extensive drives. - Your accommodation should be within or very close to the main Masai Mara park. 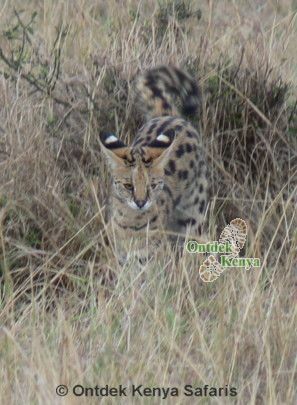 Here is the catch because there are so many tented camps that are many kilometers (some hours drives) from the Masai Mara Reserve, in areas with limited game but with spiced-up marketing they are passed off as in areas of the big cat diary. However exclusive a safari camp is, if it doesn’t provide the wildlife magic, it just won’t create the natural history experience you are looking for. - Safari Field guides: the big cat diary presenters bring live to the show with their personalities and wide knowledge on their subjects. Be realistic, there is a world of difference between this kind of knowledge and a that’s-a-lion-safari-guide. Ontdek can’t emphasize this enough, field guides are the make or break of any safari and if you are looking for a natural history experience you need a competent field guide who is at home with birds, plants, interpreting animal behavior and genuinely enjoys long hours in the field. 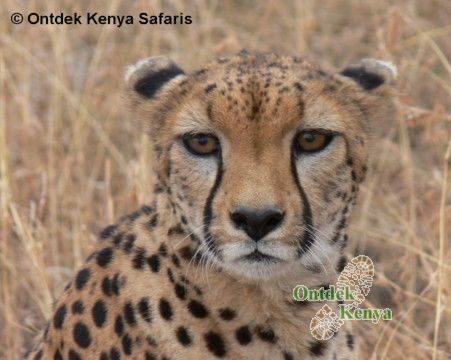 Ontdek, the leader of natural history tours in Kenya since ’96 looks forward to consult with you to a create a big cat diary experience in your safari. Contact us.